A-Scan Frequency: 10MHz Frequency Probe. Measurement precision: ±0. 05mm; with macula lutea trace function. P scan probe Frequency: 20MHZ, angle of 45 degrees . 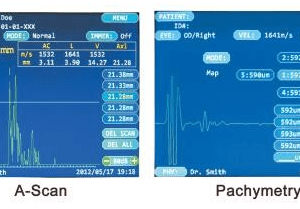 Ultrasonic pachymeters (or pachometers) allow the surgeon or ophthalmologist to measure the thickness of the cornea in patients with glaucoma, suspected hypertension or those considering refractive surgery. 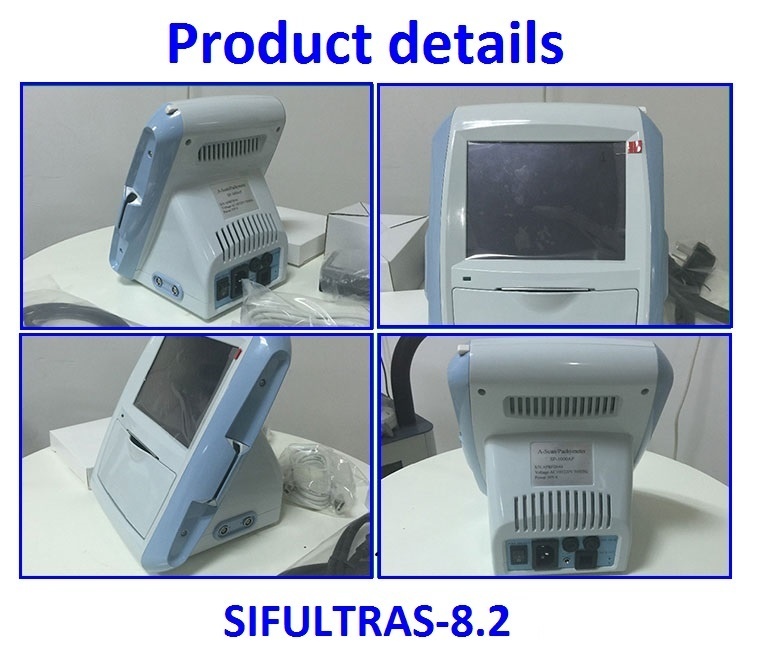 One primary advantage of Color Ultrasound Scanner, Ophthalmic A-Scan/ Pachymeter SIFULTRAS-8.2 is how cost-effective it is. 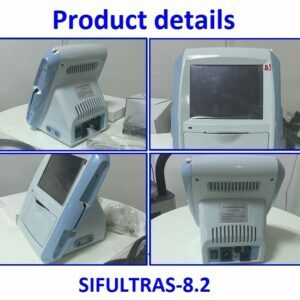 In addition, Color Doppler Ultrasound Scanner, Ophthalmic SIFULTRAS-8.2 has macular recognition function, can accurately measure axial length, anterior chamber depth, lens thickness, as well as intra-ocular lens calculation. 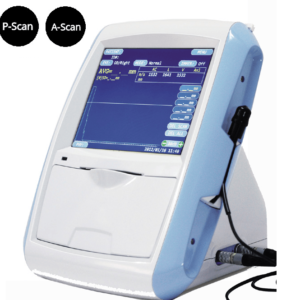 A-scan Ultrasound biometry, also referred to as just A-scan, for diagnostic testing in Opthalmology practices. This device can determine the length of the eye and can be useful in diagnosing common sight disorders. 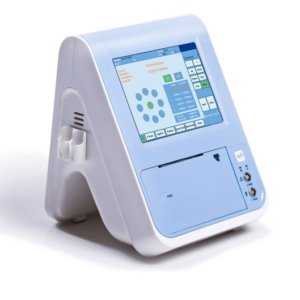 A-scans are also extremely beneficial in cataract surgeries, as they enable the Opthalmologist to determine the power of the intraocular lens (IOL) needed for the artificial implant. Another use for A-scans is diagnosing and measuring masses in the eyes. Capable of Connecting to PC. 10MHz import small size probe, built-in luminotron. Precision: ±0. 05mm; with macula lutea trace function. 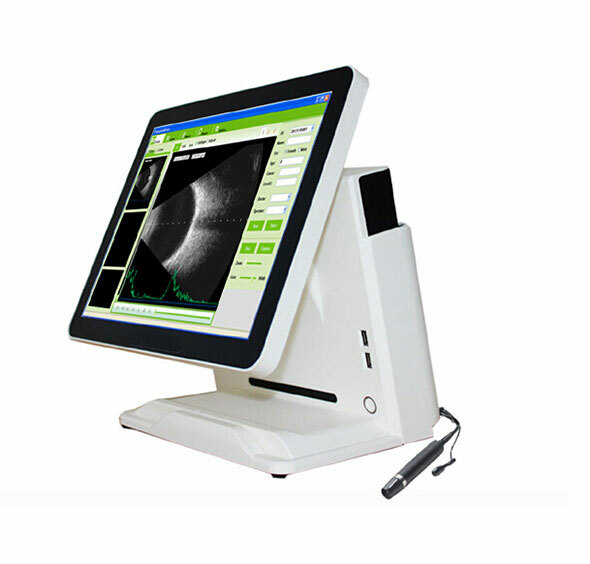 Measurement: Anterior chamber depth, lens thickness, vitreous body length, total length and average. Method of measurement: immersion and contact. Eye mode: Phakic/ Aphakic/Dense/ various IOL. Enter the name & ID; easy to check archive. Storage: 10 cases, 5 readings each case. Output: A scan waveform and IOL calculation sheet. 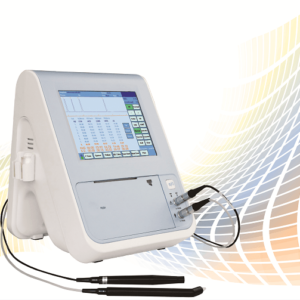 Frequency: 20MHZ, angle of 45 degrees makes easier operation. Display: SINGLE mode and MAP mode. 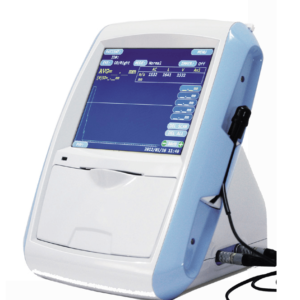 Can display ultrasound waveform when measuring. Each group is the average of 20 measurements. Switch between IOP measured value and actual value. Can input name, ID and operator’s name. Display Mode: B, B+B, B+A, A. Display: 5.7 inch color touch LCD screen.